EUA + CD Smith worked to renovate and add onto a 1960s science building to become a modern learning center and central focal point of the Marian University campus. Milwaukee's largest architecture firm, Eppstein Uhen Architects (EUA), implemented strategic design features to care for their employees. We believe architecture has the power to unleash true human potential. The power to inspire; and enable people to be their best. We believe at its heart, architecture is about people. EUA's Heather Turner Loth and Allison Pfeifer speak at the 2018 CoreNet Summit looking at ways to attract the next generation of the workforce. Journey into a previously unseen look into GenZ workplace preferences and envision the future workplace. Discover the top five GenZ factors that will drive workplace design. Competitively position your workplace to attract and engage the next generation of talent. We were happy to host the members from Boys & Girls Clubs of Greater Milwaukee earlier this week as they got an up-close look at how the new U.S. Cellular Connection Stage is being built. They even signed a steel beam that will be featured in the new construction by C.G Schmidt. The new stage will debut this Summer at Summerfest 2018! Eppstein Uhen Architects (EUA) designed a space for Godfrey + Kahn, one of Wisconsin's leading law firms, to attract, engage and retain top talent. Eppstein Uhen Architects (EUA) designed an office for the Milwaukee Bucks to integrate their new brand and engage culture. Paradigm and Eppstein Uhen Architects use Smart Spaces to increase flexibility, capacity and customization for employees. EUA designed a new 700-student capacity intermediate school with adaptability for future expansion with a design inspired by the patchwork of farm fields it is built on. EUA helped bring the character and history of Menasha High to life with all the amenities a modern building would give. In Lake Mills Elementary School, learning is no longer restricted to the classroom, it happens throughout the building with small group educational opportunities with flexible and built-in furniture. Celebrating 110 years of EUA. We love what we do, where we do it and who we do it with. We are grateful for our past and excited for another 110 years. Take a glimpse into Eric Dufek and Bob Vajgrt's childhood and their path to becoming architects at EUA with these throwback gems. 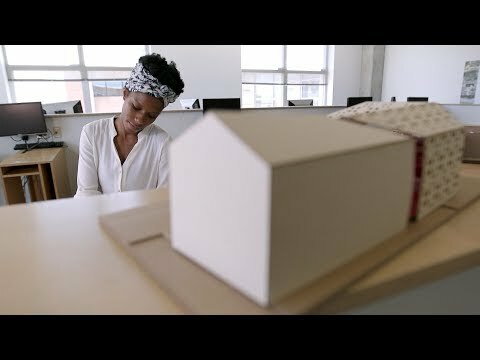 EUA has been sponsoring the award-winning Integrated Practice/Building Information Modeling Studio at UWM’s School of Architecture and Urban Planning (SARUP) since the fall of 2007. Over the years, hundreds of SARUP alums have gone on to work at EUA and some have come back to literally change the shape of the campus. This video was created by UW-Milwaukee.